What's the best way we can get our hiring managers to hire for potential rather than for experience. Hire swimmers not fisherman. These are people who have a track record of successfully taking on projects above their pay grade. Can’t find enough good people to fill critical positions. The answer could fill a book, but start with this article on understanding how to attract passive candidates. You also might want to attend the sourcing module of our online Performance-based Hiring course. We hire a lot of good people, but many discover the job isn’t what they thought it was. It’s important to define the job as a series of performance criteria rather than a list of skills and experiences. Interviewers tend to miss the mark on measuring motivation to do the work. Digging into a candidate’s major accomplishments is a great way to determine where the candidate naturally goes the extra mile. The best candidates want more money than we can afford, so we waste a lot of time finding “good enough” people who are also willing to take a smaller comp package. You need to shift the focus to a career move on first contact. Strong people are willing to negotiate compensation for a better job. What’s the Achiever Pattern and how can it be used to measure potential? The best people in any field get recognized for doing outstanding work. This is often in the form of rapid promotions, awards of some type, or being assigned to important projects earlier than expected. This article describes how to look for these clues. Our managers are reluctant to hire people who don’t have the exact skills listed on the job description. Is there a way to trade-off experience with potential. Once managers know how to spot a high potential person, they’re somewhat more comfortable in hiring them. When they also define the job as a series of performance objectives they’re even more comfortable. The idea is to use other criteria that’s more predictive of top performance to hire top people. We have leadership as one of critical traits in our competency model. Unfortunately, everyone has a different definition for it. Can you use the Performance-based Interview to assess leadership? The simple definition of leadership is having the ability to visualize a problem, plan a solution and then implement it successfully. Too many people emphasize the first parts of the definition only. Yet it’s the implementation part that is most important. This post describes how to figure if the candidate can do both. We have a great deal of difficulty assessing cultural fit. This article covers how to assess the prime drivers of cultural fit: the hiring manager’s style, the company’s growth rate and level of sophistication, and fit with the job. We need to expand our disadvantaged and diversity hiring programs. This white paper by David Goldstein of Littler Mendelson offers ideas on how to use Performance-based Hiring to expand the pool of candidates you’re now seeing. 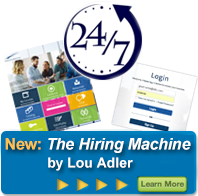 Our entire hiring process is time consuming, burdensome, inflexible and ineffective. The Essential Guide for Hiring offers companies a means to test pilot a new approach for hiring that will solve each of these problems, and all of the above. Talent Leaders are invited to audit Module of the Performance-based Hiring online workshop to assess if this process could be the solution. Many managers overvalue first impressions and affability, excluding better people who are quiet, temporarily nervous, or who don’t appear to fit the role. It’s best to assess the impact of first impression on job performance at the end of the interview when the interviewer is more objective. Here are some techniques to increase objectivity during the interview. How do you measure quality of hire before you hire the person? The Performance-based Interview we recommend is comparable to a performance review. It starts by assessing a candidate’s accomplishments against the performance objectives required for job success using our Talent Scorecard. Here’s how to obtain a complete set of these forms. Many candidates, especially passive candidates, decide not to pursue our opportunities because of the money or the location. Candidates and recruiters alike use a “Day 1 Getting” filter to decide to even engage in a conversation. This includes what a person gets on the start date of a new job – a company, title, location and compensation package. It’s important for everyone to first determine if the job represents a career opportunity. Here are some techniques on how to stop making long-term decisions using short-term information. We use a Yes/No voting process in which everyone has a vote. Typically the NOs outweigh the YES votes, or the loudest voice rules. Gladiator voting like this is one sure way to preclude the best person from ever being hired. Implementing Performance-based Hiring is one way to correct the problem in the long term. Here are some short-term remedies to get you started in the right direction. We’ve tried behavioral interviewing, but are not getting the results we expected. For one thing, hiring managers are reluctant to use it. While behavioral interviewing can minimize hiring mistakes, it has not been proven to increase quality of hire. The Performance-based Interview we use integrates behavioral fact-finding into the process, solving all problems – avoiding mistakes, increasing assessment accuracy and raising the talent bar. We invite talent leaders to audit the interviewing module of our online hiring manager training course to personally experience the approach. We need to improve our hiring manager’s ability to hire people for the long term. Most are hiring good people, but not the best people. We offer an unusual proof of concept to demonstrate how Performance-based Hiring can impact the quality of people seen and hired. Alternatively, give a few of your hiring managers a copy of The Essential Guide for Hiring & Getting Hired and have them read Chapter 6. What's the best way for hiring managers to clarify job expectations before they hire someone? According to "First Break All of the Rules" this is the #1 trait of successful managers. Preparing performance-based job descriptions is the foundation of Performance-based Hiring. This post offers a step-by-step process for creating these. Here’s the complete handbook for implementing Performance-based Hiring at your company.